Add additional exterior space to your home with the porch installations provided to you by Solo Home Improvements in Swindon, Wiltshire, Gloucestershire and Oxfordshire. Porch installations by Solo Home Improvements are carried out by qualified experts, and you are guaranteed a great result every time. A porch is a great addition to your home and improves its security by addin an additional barrier to the outside, from your front door. In many cases planning permission is not required. 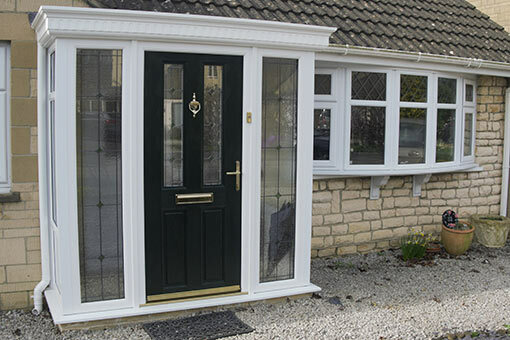 We use only the highest quality, robust PVCu products to build and complete your installation and ensure you’ll be able to enjoy your porch for many years to come. Choose from a variety of colours, designs, and styles to reflect your individual style. Solo Home Improvements will discuss your requirements and ensure that you receive the best possible product. 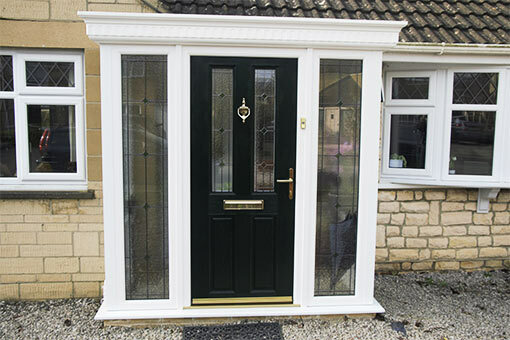 With you from the beginning to the end of your project, we guarantee quality porch installations without fail. Thinking about adding a porch? Let us quote.